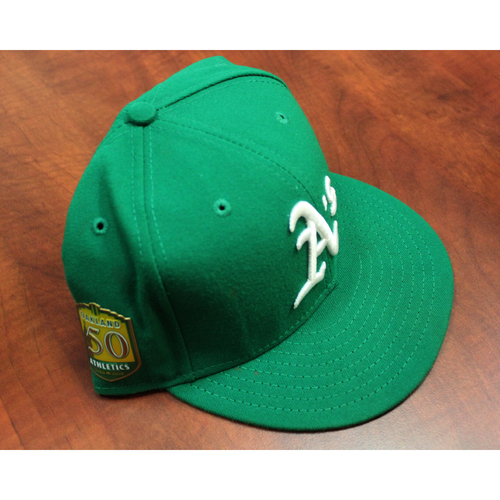 Jed Lowrie Game-Used Kelly Green Hat w/ 50th Anniversary Patch. Size 7-1/4, default photo shown. MLB authenticated.